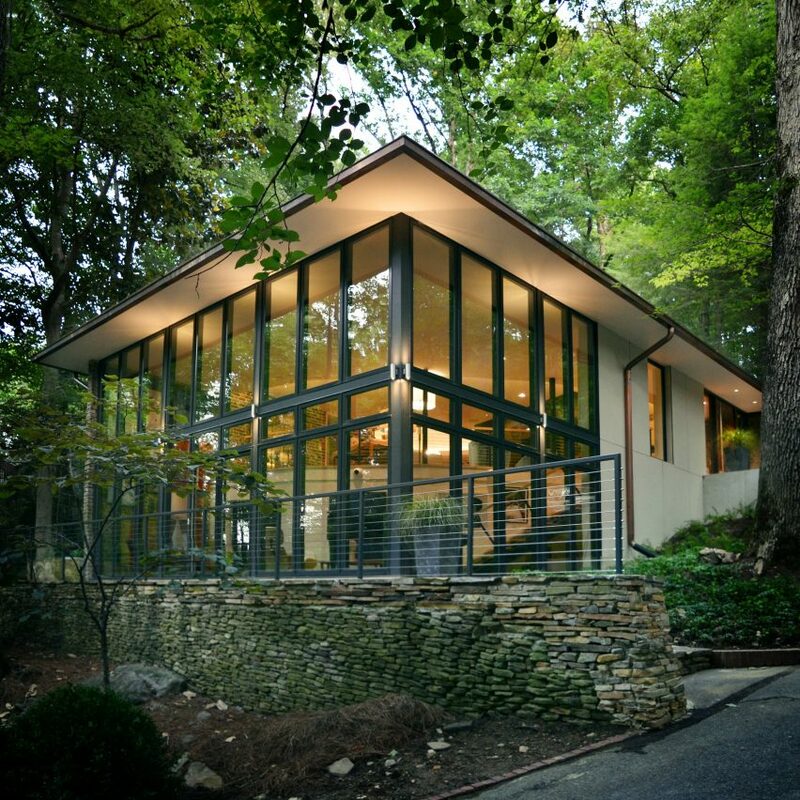 Mountain Brook Residence was originally designed by Fritz Woehle, the first architect from Alabama to be awarded the title of Fellow by the American Institute of Architects (AIA) in 1975. 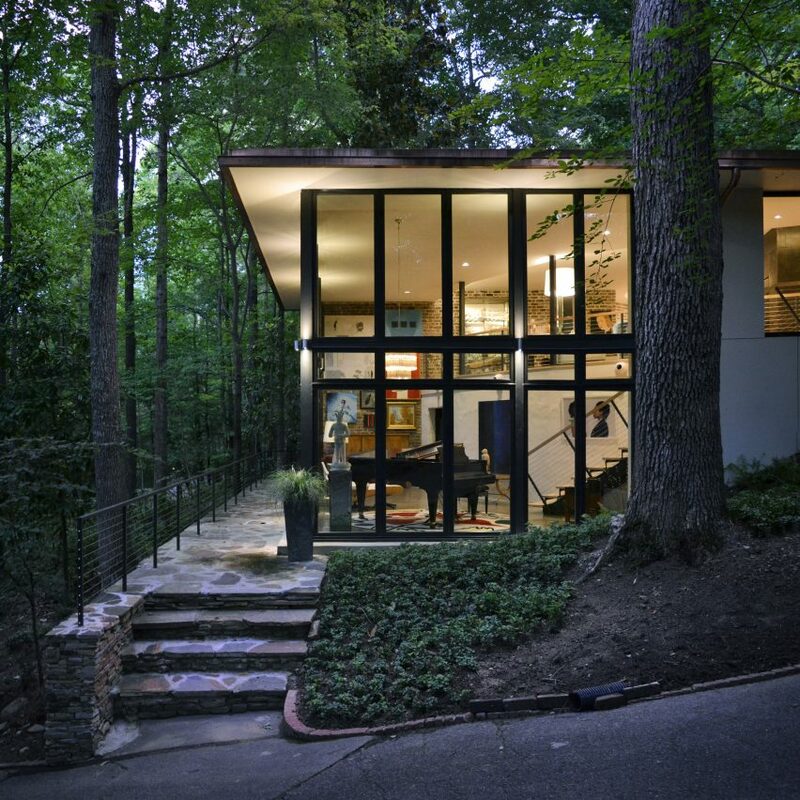 The 3,200 square-foot (297 square metres) modernist home, completed in 1963, is located outside of Birmingham and surrounded by forest. It had undergone several renovations, “diluting” the architect’s original concept according to Design Initiative. The building’s new owners admired Woehle’s vision, and were keen to return the home to its earlier state. 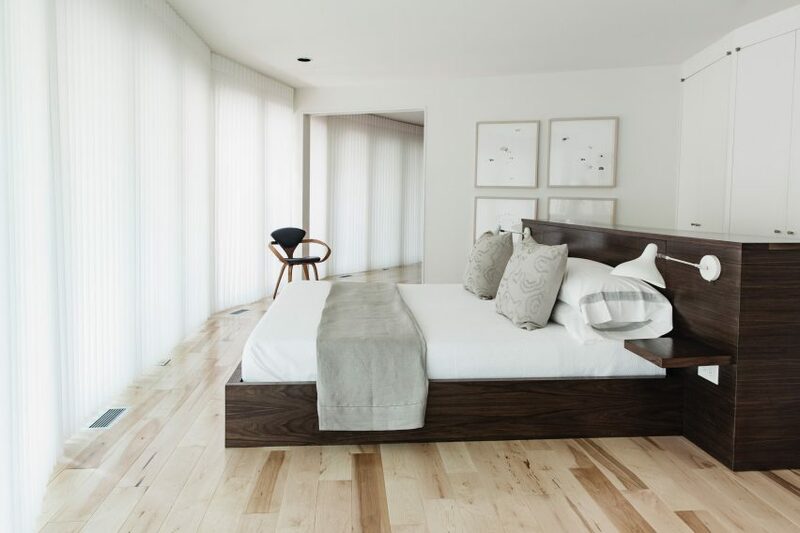 “A primary goal of the project was to restore the original intent of the design while updating the residence to function for the client’s needs,” said Design Initiative in a project description. A radial plan organises the building around a central dining room, which is delineated by an interior brick wall. Previously, a rectangular terrace jutted out from the north-western corner of the home, but it was built out as an enclosed space by previous owners. 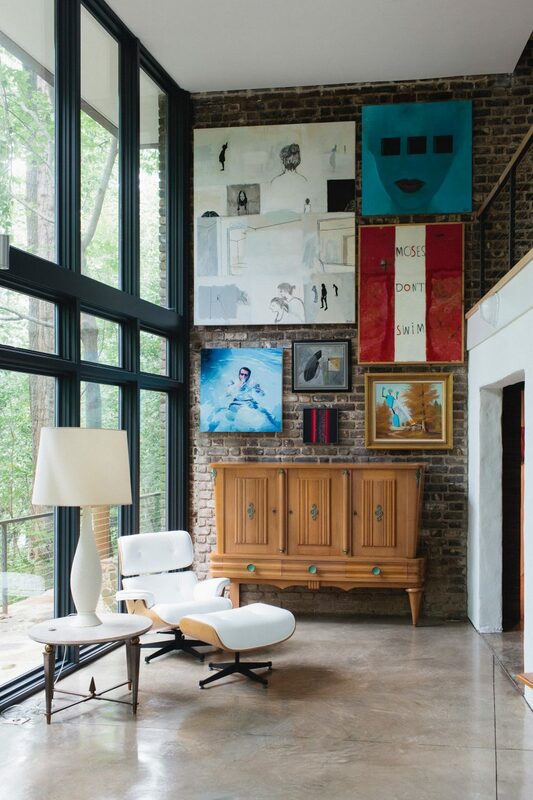 The main entrance is on the upper level, through a vestibule that is separated from the living room by a fireplace. Two bedrooms, an eat-in kitchen, laundry room and office are located along the perimeter of the home on this level. Although the original home was fully glazed, some of the rooms were enclosed over the years. “New windows replace the walls at the perimeter of the ‘drum’, opening up the views back onto the site,” said Design Initiative. The architects also reconfigured the rectangular addition to the home. 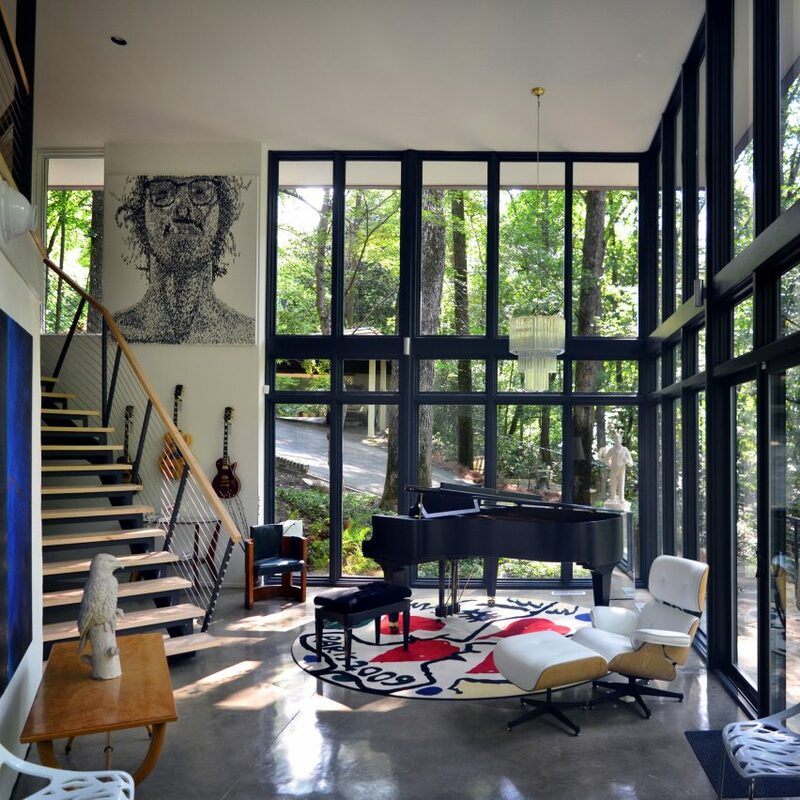 It was rebuilt as a double-height glass room, which now acts as a space for the owners to entertain guests and display their art collection. “A two-story glass volume at the original deck location links the upper and lower levels, and increases the amount of usable square footage,” said Design Initiative. The two storeys are linked by a steel staircase with wooden treads, which follows the curved outline of the original structure. The architects were also able to include space on the lower level for a wine cellar and home gym, in an area that previously only housed mechanical equipment. 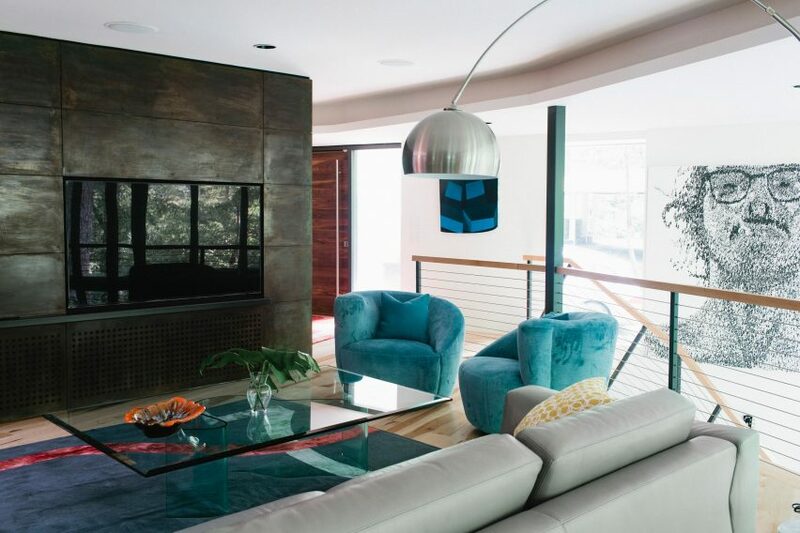 Mid-century-modern homes are being refreshed across the US. Other recently completed examples include a home under a Los Angeles bridge that was restored by Ras-A Studio, and a low-slung property in Connecticut updated by Joel Sanders. Photography is by Andrew C Bryant unless otherwise indicated.